Grandmaster Fescina has trained over 6,000 students in the art of Kempo. He has promoted over 100 students to the rank of Black Belt and is one of the most highly respected Masters in the Martial Arts. inducted into the Action Martial Arts Hall of Fame in 2001. He is the Master Instructor and the co-creator of the Kempo White Tiger System taught at Kempo Martial Arts Dojos. Grandmaster Fescina is also a long time practitioner of Pekiti Tirsia (Knife/Stick system). 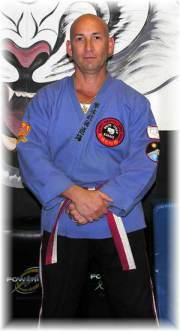 Professor Nick Bruno is an 8th Degree Black Belt and has 35 years of martial arts training. He was awarded his 3rd Degree by the late 1Oth Degree Grandmaster Professor Nick Cerio and his 5th Degree by the late 10th Degree Professor Walter Godin from Hawaii. He was awarded his 7th degree by Adriano D. Emperado, creator of Kajukenbo, in 2007. He was awarded his 8th Degree in 2010. Coast of the United States, and he holds an instructor ranking in Brazilian Jiu Jitsu. 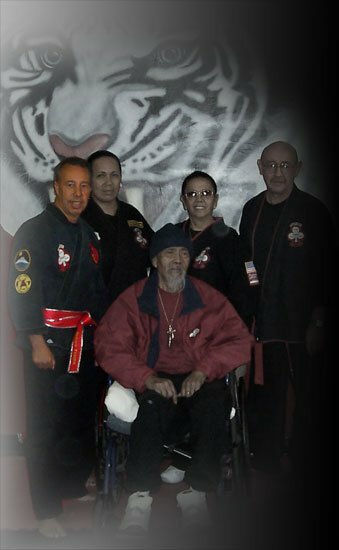 Professor Bruno was inducted into the Action Martial Arts Hall of Fame in 2003. He and his partner, Grandmaster Rich Fescina, are the Master Instructors and creators of the Kempo Martial Arts organization.